CHICAGO, Mar. 14, 2019 /PRNewswire/ — Life-saving naloxone, an emergency drug used to reverse a potentially fatal opioid overdose, is now available to businesses and organizations in Texas for online purchase and delivery at www.NaloxoneExchange.com, the company Fiduscript announced Thursday. Naloxone Exchange is the first-of-its-kind and is launching in Texas after receiving regulatory approval from the Texas State Board of Pharmacy. Orders for naloxone will be fulfilled through a licensed pharmacy partner and shipped in discreet packaging. Fiduscript’s mission is to provide life-saving medications online. The life-saving drug is sold individually and as a kit that includes two doses of the medication, a carrying case for proper protection, and gloves/mouth guard to perform CPR. The kits may be purchased for $99, while two doses of naloxone can be purchased for as low as $83. The site allows access to FDA approved Naloxone, as well as brands such as EvzioⓇ, and NarcanⓇ. Any public or private organization in Texas can visit Naloxone Exchange to complete a form describing their naloxone needs. The Fiduscript team will contact the organization to complete the order and verify shipment to their business location. A record 72,000 people died of a drug overdose in 2017 nationwide, including 2,989 in Texas, according to the Centers for Disease Control. In April, 2018 the United States Surgeon General urged Americans to carry naloxone. 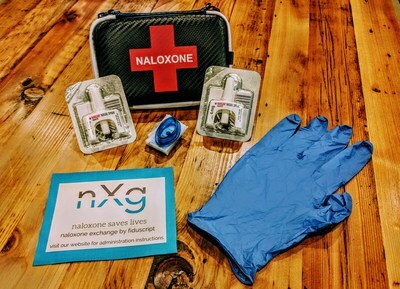 Naloxone Exchange provides a convenient way for organizations, such as pain management centers, first responders, or local establishments, to purchase naloxone online. Fiduscript, a Public Benefit Corporation provides access to life-saving medications online. Fiduscript PBC is a safe pharmacy service, certified by the National Association Boards of Pharmacy.